Why Hire Karnage Creations LLC? There are several good reasons to consider hiring Karnage Creations LLC to restore your windows. We specialize in windows, they are our bread and butter. Other contractors do windows sometimes, but we do windows all of the time, allowing us greater expertise on all aspects of their renovation. Windows are our passion, and we believe it shows. We are local and highly connected to our community. Our reputation matters to us, because we have family, friends, and our business network right here in the Richmond area. We source as many of our products from other local businesses as we can, to keep the money with good people we can trust. We strive to be good people that you can trust as well. We are a small business. We are Small, Micro and Women owned certified in terms of being a SWaM business through the Virginia Department of Minority Business Enterprises. For government entities, that means we are eligible to work for you. For others, what this means is we have much lower overhead than many of our competitors. Keeping it small keeps out the bureaucracy, for which clients end up footing the bill. 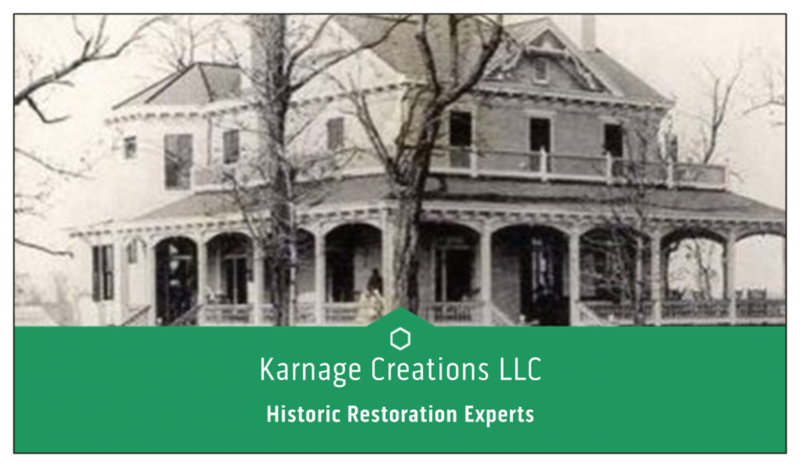 There are many other reasons to consider Karnage Creations for your window repairs, whether it be a few panes of glass, rehanging a window or two, or doing a full historic renovation of a gorgeous old home. We treat our clients, and our windows, with respect. Hopefully you appreciate that.